Credibility is a leader's currency. With it he or she is solvent; without it he or she is bankrupt. Communications reinforces a leader's credibility. 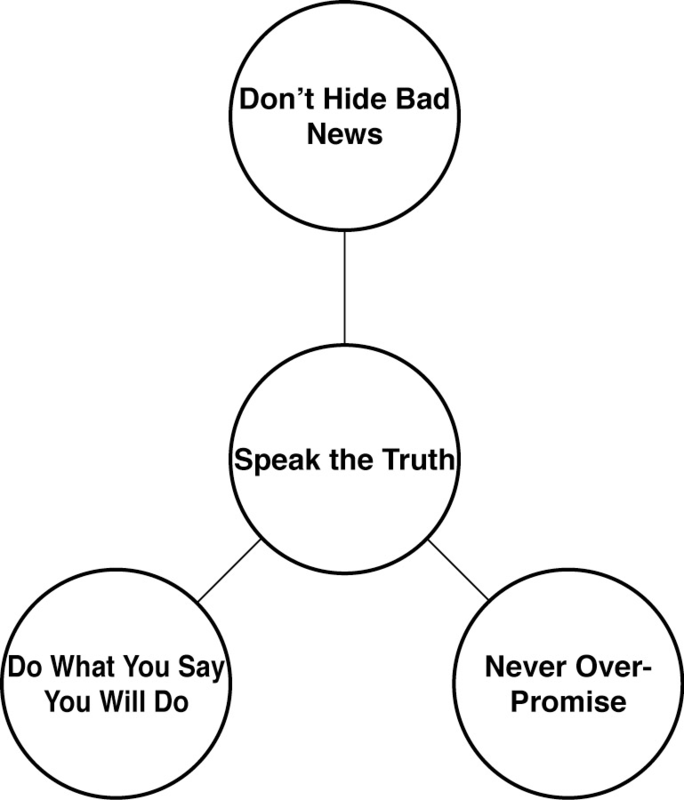 How can a leader establish credibility (see Figure 3-1)? Never overpromise. Do not make promises that you cannot keep. Politicians seem never to learn this lesson. Campaign promises are not promises at all; they are platitudes. As a result, politicians as a group have little credibility. That said, there are individual political leaders in both major parties—Franklin Roosevelt and Harry Truman among the Democrats and Theodore Roosevelt and Ronald Reagan among the Republicans, for example—who have a great deal of credibility. Why? Because they were seen to deliver on their promises.